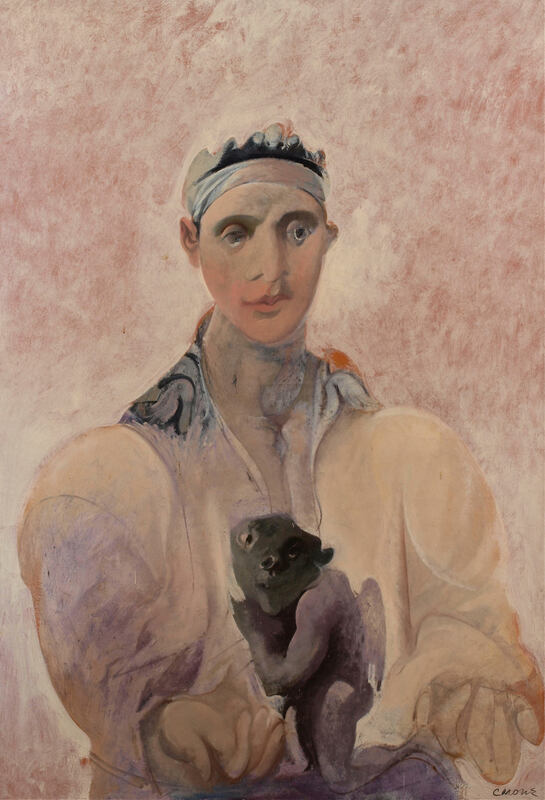 Carter Ratcliff reviews Nicolas Carone: Imaginary Portraits at Loretta Howard Gallery (through October 28)and The Thing Unseen: A Centennial Celebration of Nicolas Carone, organized by Ro Lohin, at the New York Studio School (closed). Ratcliff notes that "The Studio School catalog is prefaced by one of Carone’s precepts: 'The process is to draw the thing unseen and to match it with that which is seen with experience.' [catalogue essay author David] Ramm suggests that the artist’s talk of drawing invisible things shows a leaning toward 'Neoplatonic mysticism,' a plausible if unprovable suggestion. It is certain, however, that Carone transformed his voracious experience of the visible world into paintings — abstract and figurative — that are crucial to a full account of American art during the past six the decades."